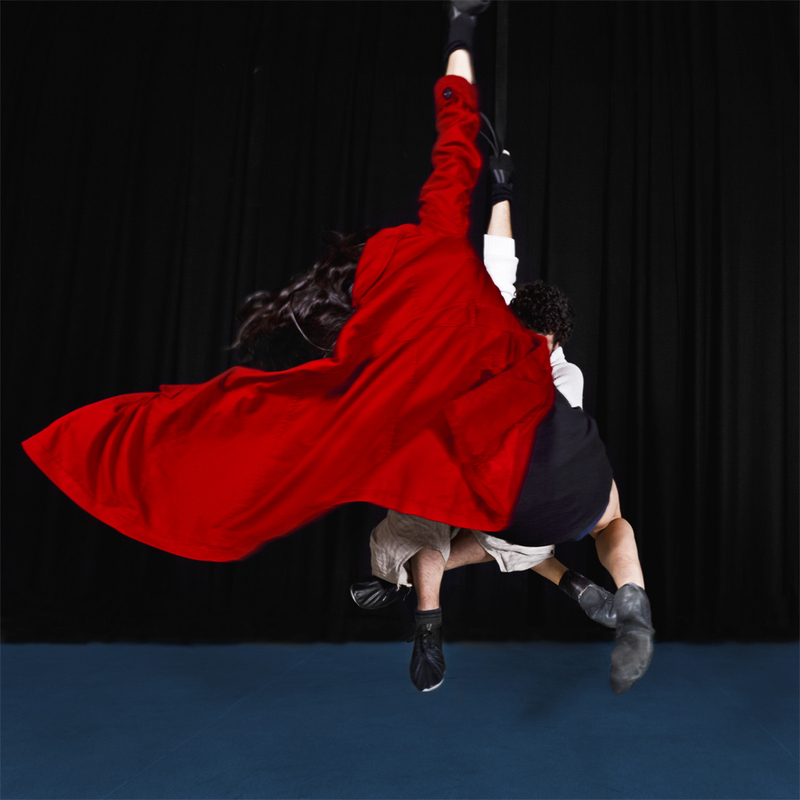 The aim of this serie is to portray the poetry transmitted by the gestures of these two acrobats , Alexander Meixner Pacheco and Lydia Laparra Garcia. Their bodies fit together in perfect harmony, intertwine gracefully, dance in love, are airborne, synchronously bound, and depend on each other for in each instant of mutual trust. for an endless amount of times, but for the subjects that wasn't the case: their performance had a beginning and an end. The physical limits of the camera was knowing how to capture the unique movement and tension between two beings in the air in one instant. The choreography of the two acrobats is part their daily reality, whereas the selected images become a project about life that feeds on art and love.